What is expressly Christian about teaching in a Christian context? In this assessment of the state of Protestant Christian pedagogy and constructive vision for its improvement, Smith addresses a gap he perceives between the aspirations and actual practices of Christian teaching. Teaching in Christian contexts cannot be reduced to issues of content or philosophy; it requires intentionality of process. Smith’s laser focus on Christian pedagogy distinguishes his approach from other treatments of Christian teaching that emphasize the spirituality of the educator, such Parker Palmer’s work. 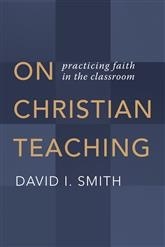 On Christian Teaching resides within the practices stream of theological education, consistent with Smith’s other work including Teaching and Christian Practices, which he co-authored with James K. A. Smith. 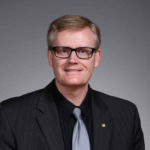 After laying out an extensive argument for how the integration of faith and education must attend to pedagogy, Smith engages the What If Learning approach (http://www.whatiflearning.com/) developed in conjunction with the Kuyers Institute for Christian Teaching and Learning, which he directs at Calvin College. Here the reader is invited to envision possibilities for seeing anew through a shared imagination between teacher and students, enabling students to choose meaningful engagement, and reshaping practice through attention to space and time. 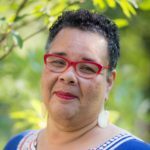 Surprisingly, however, Smith does not engage the important work already published by scholars of color on some of the very topics of his chapters, such as Willie James Jennings’ The Christian Imagination or bell hooks’ Teaching series. The reader would do well to engage Smith’s book alongside such other resources on imagination and pedagogy. Smith guides Christian educators in assessing the pedagogical home they create, an environment that forms students in particular practices and assumptions. He continually pushes readers to go beyond philosophy and content to wrestle with the implicit meanings their teaching practices may convey, privileging student perceptions of the classroom experience over the teacher’s intentions. From start to finish, Smith consistently grounds his book in the actual experiences of teaching. Examples from a wide variety of classroom settings abound: anecdotes relayed by his son at a Christian high school, Smith’s own experiences teaching language classes at the high school and university levels, and an array of stories received from colleagues and students. If Smith’s leadership of the Kuyers Institute is not enough to convince the reader to pay attention, the organic way he articulates his message amid such a diversity of classroom examples gives the reader a sense that Smith is indeed a master teacher, and that something significant can be learned from him. The title of the book indicates two of its limitations: it expressly addresses Christian teachers and institutional settings, and is focused on the four-walled institutional classroom setting. A third limitation is its one-directional movement from theology to practice that carries a hint of applied theology, “that faith can inform pedagogy” (viii). The reader must therefore raise two important questions alongside this book: Is the traditional classroom the best setting in which to enact Christian teaching? And, in what ways might the pedagogy in which we were formed already have shaped our theology? On Christian Teaching is written for educators across all disciplines who identify as Christian, especially those at Christian secondary and higher education institutions. It contains eleven manageable chapters of approximately fifteen pages in length, each with a journaling prompt and questions for reflection and discussion that facilitate reflection on one’s current practice of teaching and guide imagination for future practice. This structure makes the book ideal for reading among a group of educators who are ready to move beyond the questions of what and why they teach, to imagine the how of Christian teaching.